Hey everyone! 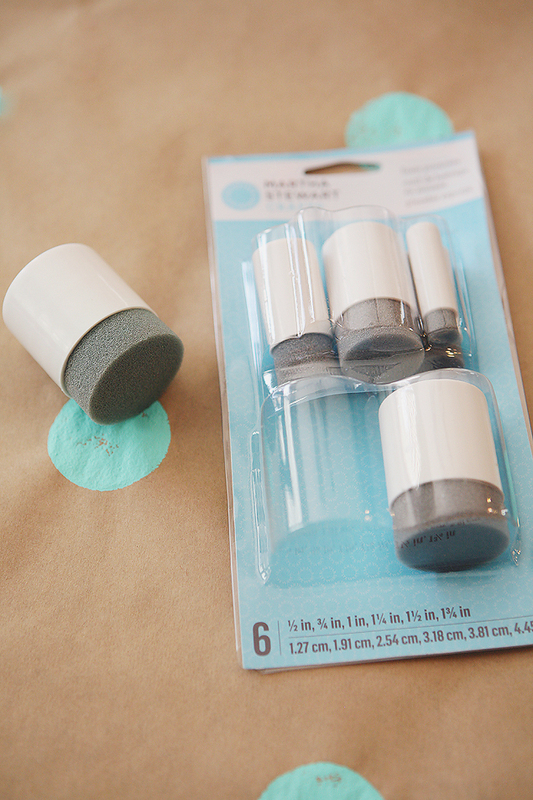 It’s Jen and Jodie from Eighteen25 back today to share a fun little craft project with you. We love to have little get-togethers and parties with our family and friends throughout the year. We gather once a month to celebrate birthdays and of course we absolutely love to celebrate holidays with all of our family. Something to make your polka dots with. We used the largest size foam pouncer we could find. 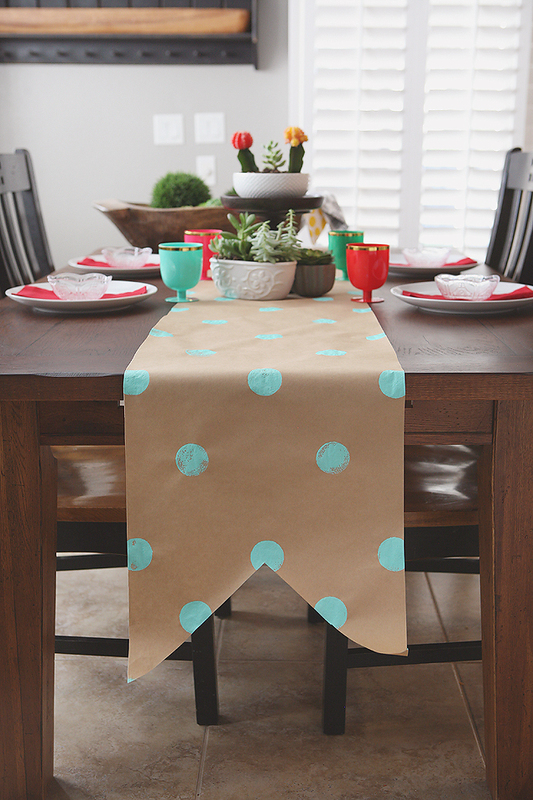 Measure your table and add an extra 3 feet so your table runner can hang over on both sides. We took our roll of kraft paper and cut it the length we needed. Then we folded it in half long ways and cut right down the center. It ended up being about 15″ wide. You now have two paper table runners. Save one for later or go ahead and make another one for a future party or holiday. Be sure to practice a few dots on some extra paper just so you can get the feel of it and so you know how much paint you want to use on your pouncer. Once you are done with all your dots let the paint sit and dry for about 30 minutes. 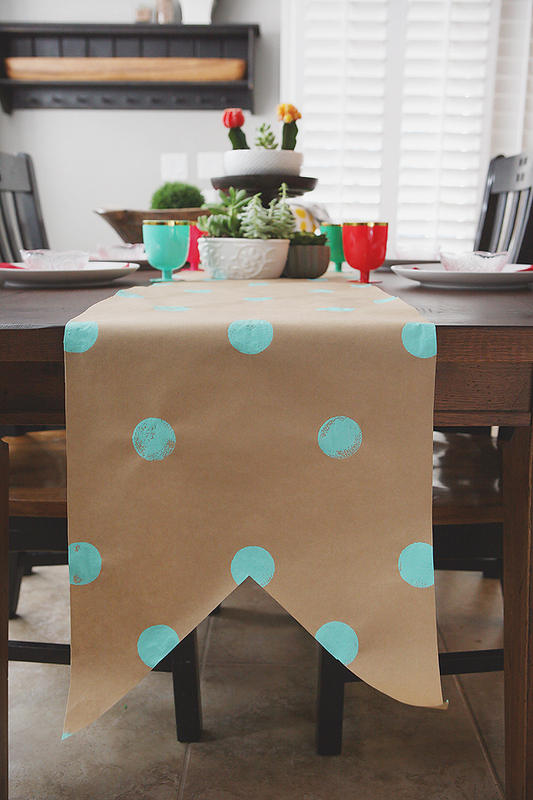 You can be done at this point or you can cut a cute notch out of both ends of your table runner. To notch our ends we took an extra piece of the kraft paper (the same width as our runner) and folded it in half. Then just cut UP towards the folded side of the paper at an angle. Unfold your paper and use it for a pattern to cut the notches out of both ends of your runner. 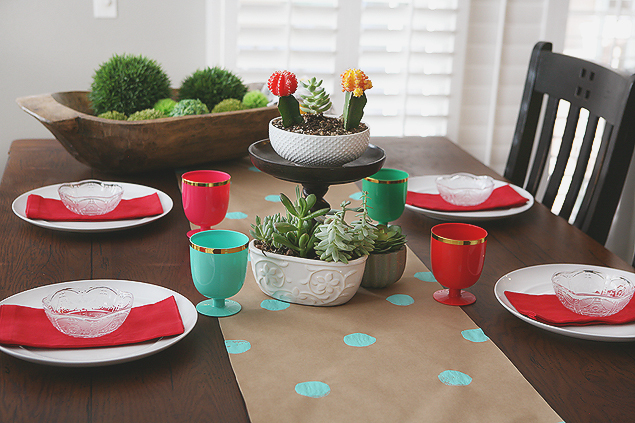 Only thing left to do is to decorate the table and of course you can’t go wrong with succulents and cacti. The possibilities are endless with this project. Don’t like kraft paper? Grab some bright white paper. 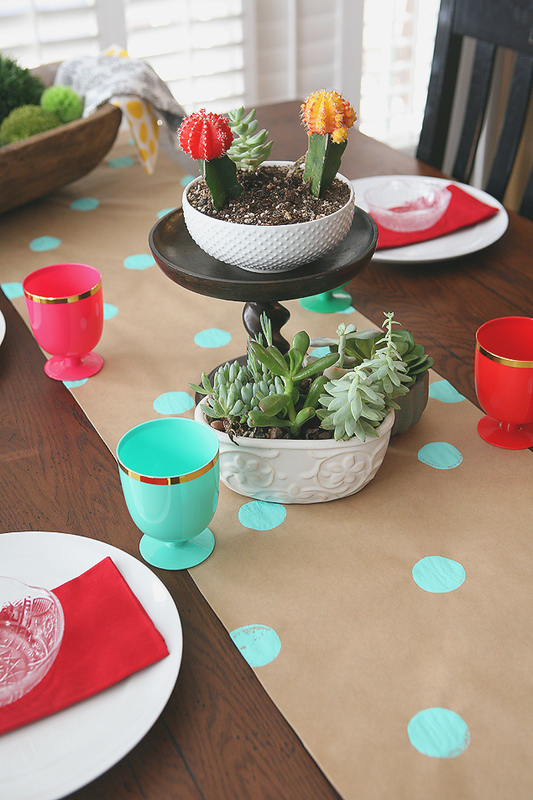 There’s also so many different colors of paint and you are not limited to polka dots either. How about some stripes or geometric shapes. Give it a try for your next celebration!